Tamper evident, must be cut along top of zipper or use side tear notches to open. 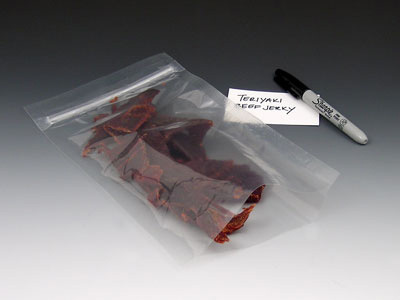 Insert contents at bottom of bag, heat, or vacuum seal to close. Barrier material protects contents from gas, odor, and moisture. Meets FDA and USDA specifications for food contact. Usable dimensions are slightly smaller.